Iprotek door and gate automation products are known for its quality, unrivalled design capability and the most extensive range of products for residential, commercial and industrial applications. Our product range also includes – high speed doors, fold-up doors for Hypermarkets, cold storage facilities, Shopping Malls, Car Wash Stations, food processing industry, Hospitals, IT Parks Airports, car showrooms etc. We are also specialised in providing customised solutions for warehouse applications with our wide range of – Loading docks, dock levelers, dock shelters, inflatable dock shelters, sucissor lifts, loading bridges etc. We do provide turnkey loading dock solutions which includes – Sectional over head doors, fire rated rolling shutters, perforated & non perforated shutters, insultated & non insulated rolling shutters, polycarbonate rolling shutters, security & bullet proof shutters etc. We are also on the lookout of business partners & distributors to promote our high quality gate automation products for Villas – which include complete gate automation kits for Sliding gates, Swing Gates, Boom barriers, Motors for sectional over head doors, bi-folding doors, rolling shutter motors etc. RFID system hold a reader, antenna and a minuscule tag which is widely used to regulate parking large, medium & small parking lots & allows seemless movement of authorised vehicles. The major benifit of the system is to allow rapid passage of the authorised vehicles which helps to handle higher volume of vehicle during peak traffic hours. Besides parking applications, our RFID solutions can also be tailored for various customized applications such as – tolling, railway, handling municipal garbage trucks, trolley management in Airports, IT Parks, instant people passage, Sea Ports & Terminal management’s solutions for handling cargo trucks etc. Iprotek system offers a wide range of RFID solutions & our in-house R & D team is fully capable of designing customized solutions for our customers integrated applications. We do offer a wide range of products for various applications which includes Long range, short range, Active and Passive variants, besides Iprotek treats & handles all the applications efficiently with its decades of experience in various fields. Vehicle Loop detectors are used to detect the presence of vehicles to open a barrier. Basically an inductive loop detector system consists of three components: a detector, a loop and loop extension cable. Typically the loop is connected to a loop detector. Iprotek complied with all necessary industry defined standard and have core expertise in Parking Management in Public and private sector, Home security, Office security, Garage security, Managing attendance system and many more. Our cutting edge technology ensures that our client run business in optimized and efficient way by utilizing the technology to cut off unnecessary operational overhead. We are supplier of magnetic loop detectors in Qatar. Iprotek offers an array of parking gate barriers to look after all your parking control needs. Laden with the most modern features, the barriers can be used for various applications and operations. The barriers are made after extensive research so as to deliver the best in terms of operation and maintenance. We manufacture and supply high quality barriers for industrial, commercial and residential applications. 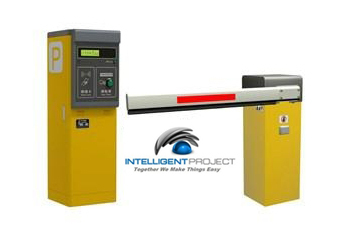 We do offer 100% duty cycle high performance speed barriers for Tolling applications to handle high volume of traffic. Besides we are also specialised in providing a wide range of boom barriers for residential, commercial & indutrial applications. All our boom barriers can be integrated with different access solutions or with third party applications and can be integrated with the fire alarm systems to hanlde the emergency situations.